PuzzleMad: I'm a puzzler on the edge! It has been quite a while since I have posted anything about twisty puzzles and I have recently managed something REALLY special so I thought I would discuss it and also try to give enough information about the process to hopefully entice a few more of you into the wonderful world of twisties! My aim is to talk about edge turning puzzles, a bit about jumbling and then give away "the secret" to twisty success!! Read on! The fearsome looking puzzle pictured at the top is the Master Curvy Copter - it was designed by one of the great twisty puzzle designers, Eitan Cher. It was first announced in June 2010 when Eitan posted about it on the Twisty puzzles - "New puzzles" forum and even though it did not turn very well in version 1, there was a lot of interest in it and then it all quietened down. Subsequently he produced a version 2 which solved all the initial problems and put it up for sale on his Shapeways store where it is now available for a very reasonable €180 in Black. Now mine cost a bit more because I got mine ready made from Eitan (I'm not allowed to dye plastic in my new kitchen on pain of torture!) I chose it because I had absolutely adored (and still do) the original Curvy Copter (pictured left) which I wrote about almost at the beginning of my Twisty puzzling career. I still maintain that it is a fantastic puzzle even for people who are not into twisties. Obviously when you have finished the 3x3 cube then the next step is a 4x4 - so I figured that the step up from the Curvy Copter would be the master version. This gorgeous puzzle arrived in May this year and I fiddled with it a little and marvelled at how complex it was and yet how well it moved - even the jumbling moves were really easy! I then put it on the shelf next to me where it stayed for a month or so. Yes! it's the "puzzles to be done" shelf and it has quite a few on it! It screamed obscenities at me for weeks but I was far too frightened of it to scramble it and try a solve - partly because I seriously doubted that I had the necessary skills to solve it and also because it is so rare in the wild that no-one has posted anything on-line at all about how to go about solving it - meaning that I would not even be able to look at a tutorial if I got stuck! I believed I was on my own! Yeah! I can hear you all screaming at me that I'm a puzzle wimp and I freely admit it! Strange that I keep hearing these voices! But..... Just look at it! It's horrendous! It looks so innocent like this! So nearly 4 months ago, I finally succumbed and decided to do what I had done with it's daddy (the Curvy Copter) and did a scramble without any jumbling or shapeshifting and did not take any pieces out of their orbits. 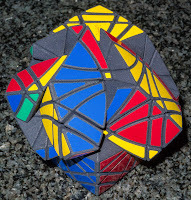 I recalled when I did the same thing to the Curvy Copter and that I actually managed to solve all but the last corners by intuition alone and then, using some very simple series of moves, I managed to solve them too. I remember how great it felt and what a phenomenal puzzle it was - it ended up as my second ever twisty blog post. If you don't have the Curvy Copter yet, then BUY it.... NOW! I couldn't do it! I spent a week trying everything I could but nope, I didn't have the skills. I couldn't, to my shame, even do the first face. I tried reducing it to a standard curvy copter and failed at that too. So I put it back on the shelf where it looked quite pretty in the scrambled form but every time I looked up it made me feel guilty. I would take it off the shelf and try again every week or two and fail again! The fun being "on the edge"! Heli Dodec - notice the windmill? BUT those devilish designers have even mixed the turning - The Dayan Gem II exhibits face turning and edge turning properties! Looks hellish? It's actually a really fun puzzle to solve! So to all you non-twisty puzzlers who have read this far - congratulations and the thing to remember is that the majority of these edge turning puzzles can be solved without learning lots of algorithms! They mostly require thought and intuition and maybe just 1 or 2 easy algorithms at the end. Just 1 simple jumble on 2 layers! Last week I mentioned the new Crazy bandaged kit I was waiting for and knew that I would be spending a lot of time on those so decided to have a big push at the Master Curvy Copter again. I tried and failed again!! I had brought it to work to show my friends and colleagues and was delighted to see them recoil in horror! I particularly enjoy showing the jumbling moves because this really is impressive on such a complex puzzle. Before I continue - what are jumbling moves?? The edge turning cubes have a rather unique property - a full turn is 180º but they can be turned a fraction of that amount and the cuts line up with another edge - this means that further turns can be made and taking pieces out of alignment - the whole point of a jumbling move is that it takes pieces out of their normal orbits and also pieces can then block further moves from occurring - hence the horrendous shape-shifted mess at the top of the post! It is also possible to do these moves simultaneously from both sides and create a sort of windmill turn of two pieces - the end result of all these moves is that pieces are no longer in their correct orbits (i.e. they will not return to their start position). 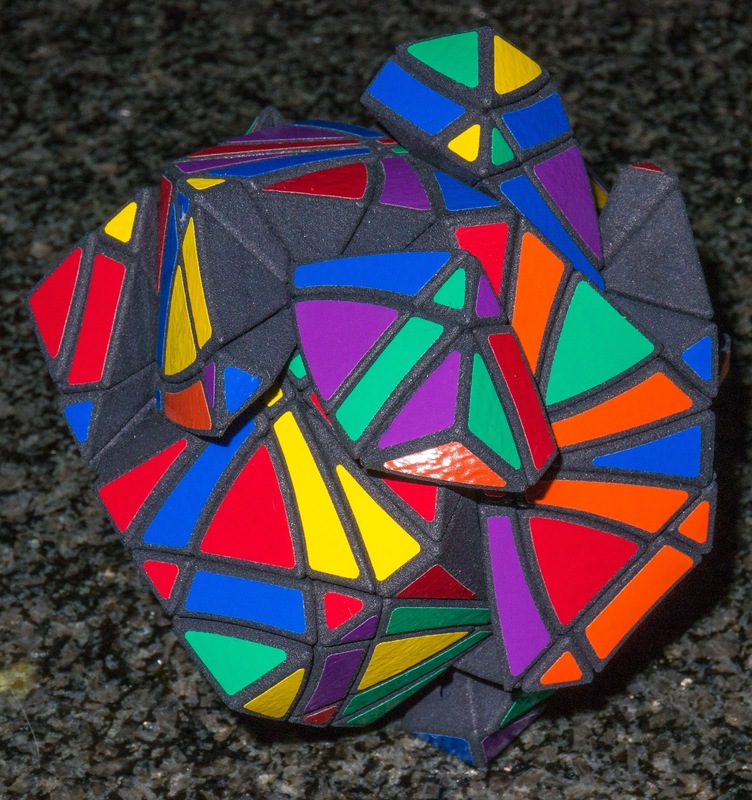 This makes the solution of these puzzles MUCH more exciting and difficult but still does not require algorithms - again only intuition and a knowledge of what moves during a jumble! I showed my colleagues the jumbling of my puzzle and to my absolute horror - I couldn't remember which bits had moved! The more I tried to undo the shapeshifting the more jumbled it became! Eventually I got it back to cube shape - thank goodness but I realised that my plans of a "simple" solve with nothing out of orbit had gone! HELP!!! A breakthrough - including the secret to twisties! So I posted my desperation on the Twisty puzzles forum and got some encouragement and a tip or two. With all this ringing in my ears, I was able to solve the bottom half entirely using intuition and a lot of fairly complex set-up moves but then I got stuck again! The ordinary Curvy Copter can be solved by intuition right up to the final corners and even then only 2 very simple algorithms (which are easy to discover) are required. But on the Master version there just isn't enough space to do it by intuition much beyond the half way point. I needed some further advice and received a pm from Burgo, a great friend now and one of the greatest twisty puzzlers in the world. He discussed an approach (really an order to attempt things) and actually gave me some algorithms! I was very careful to read ONLY the approach and not the actual algorithms - I was still hopeful that I would manage most of it alone! I had been trying to reduce the puzzle to a simpler one but could not visualise it properly and could not work out which bits to reduce first. With Burgo's wise words at the front of my tiny brain, I started the top half again and realised that my jumbling display had really screwed things up but over a few more hours, I managed to reduce the centres of the top half and then needed to reduce the corners. How to do this without ruining what I had done? There is a single magical word used my experienced twisty puzzlers and it is the holy grail!! A COMMUTATOR! What is a commutator? It is a method by which you do a short sequence of moves, then another 1 or 2 moves elsewhere on the puzzle before undoing the original moves. This effectively creates a 3 cycle of individual piece types and then allows you to move pieces around the puzzle where you need them - if you do a 3x3 by the beginners method then you use at least 1 commutator without realising it. I knew that this was going to be necessary but I'm still a newbie to this depth of understanding and looked at the puzzle in disbelief - how was I going to design one myself? Suddenly a light went on - I had the bottom half solved, I could flip the puzzle over and play with the solved half to try and design one myself. As long as I kept notes and did not forget what I had done then I'd be OK - Gulp!!! In the end I needed 2 different ones for the 2 piece types in the corners that needed to be switched around. I then also needed to find a way of manipulating whole corners to where I wanted them so that the commutator put the pieces into the correct place. 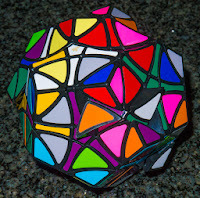 My own algorithm was too unwieldy but a new-comer to the blog world, Kyle, has started a twisty puzzle solution blog and his first posts were on the solution to the Curvy Copter and he had a lovely algorithm for moving corners - Thank you Kyle! Go and look at his blog and show some support if you could. I was amazed, I had designed 2 commutators of my very own!! Now I needed to actually use them. There are a lot of pieces to move and one small slip will leave me hosed! Gradually, I moved things around and the corners took their shape - several hours later - IT WAS DONE! I had finally solved my nemesis - this is the most amazing twisty puzzle that I own. 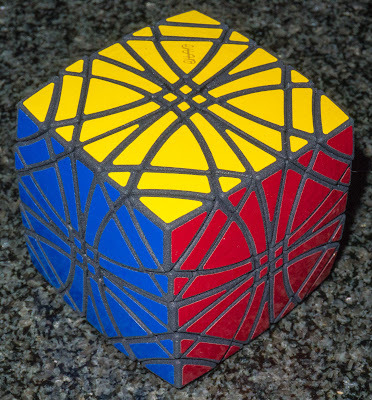 In all the final solve process probably took me about 26-30 hours of work and 4 months of pain! I had to do it again to prove it was not a fluke - and this time I deliberately did a full jumbling scramble. It was considerably tougher but took me only about 8 hours the second time. I adore this puzzle!!! If you have any suggestions or advice for me (apart from to seek psychiatric help) then please contact me via my contact page or by pm on the Twisty puzzles forum. At the beginning of my blogging career I posted a whole series of posts about the delightful disentanglements made by those clever people at Livewire puzzles. Well since I bought their entire 37 puzzle set they have been busy and another 5 have been released (including one which made it on to their site just last week). I have managed to get a copy of those new 5 and plan on working on them and reviewing them over the next few months. That is, of course, if I can solve them! Quite a few have string and look ferociously difficult! This is really a good & long walkthrough, not only the solution but also all the tiny & heavy emotions since u have the puzzle in your hand! I took a bus to my studio today & read your blog during the whole transfer. You do let me enjoy it! So see, you're a good solver as well! You can design your own commutators! 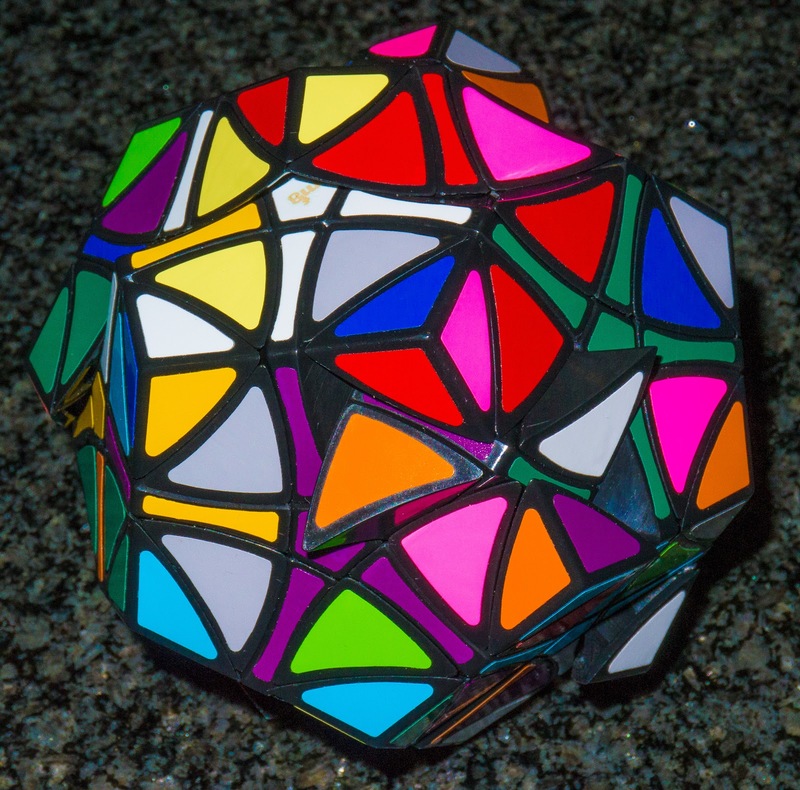 I don't have any recommendation about the twistypuzzles you mentioned at last but probably not the F-skewb. It's not because it isn't good enough. I think it's a very nice puzzle. However the solving experience will be the same as the Dayan GEM V as they're actually the same thing with different shape. So get a GEM V may help u to save money and to obtain others! I'm really pleased that you enjoyed the review Otis! I try to give people more than just a simple puzzle review - I want people to travel the journey with me. For twisties this journey has been amazing and fun and the Master Curvy Copter is the pinnacle for me! 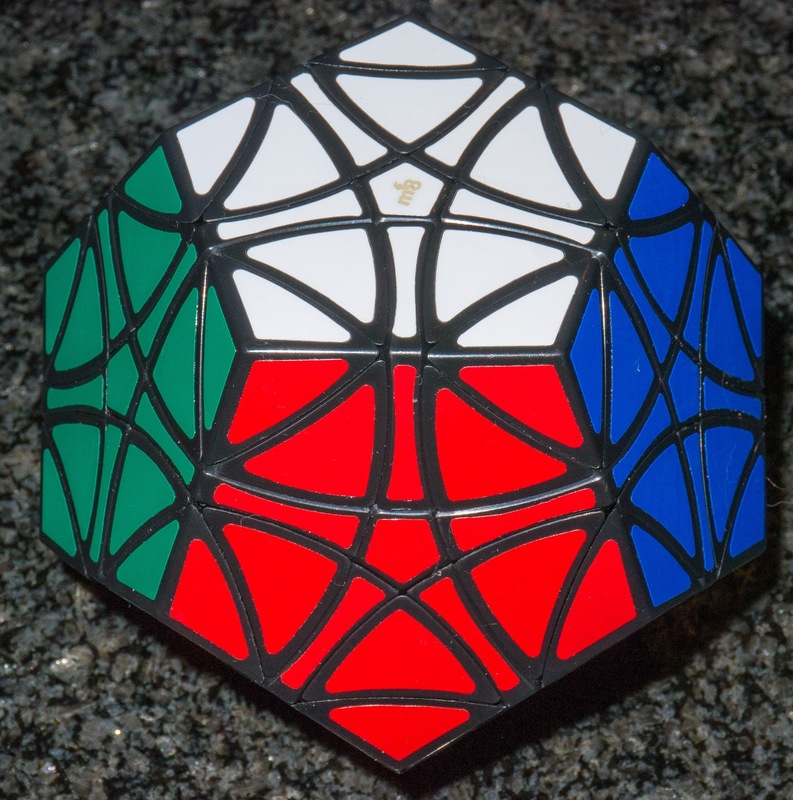 Thanks for the info about the F skewb - I hadn't realised the association. 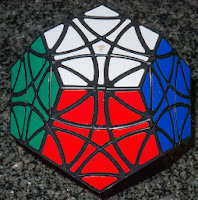 I have a Gem V and have solved it but can't visualise the skewb within! Do you ever take your twisties apart in order to get them back to their solved state? 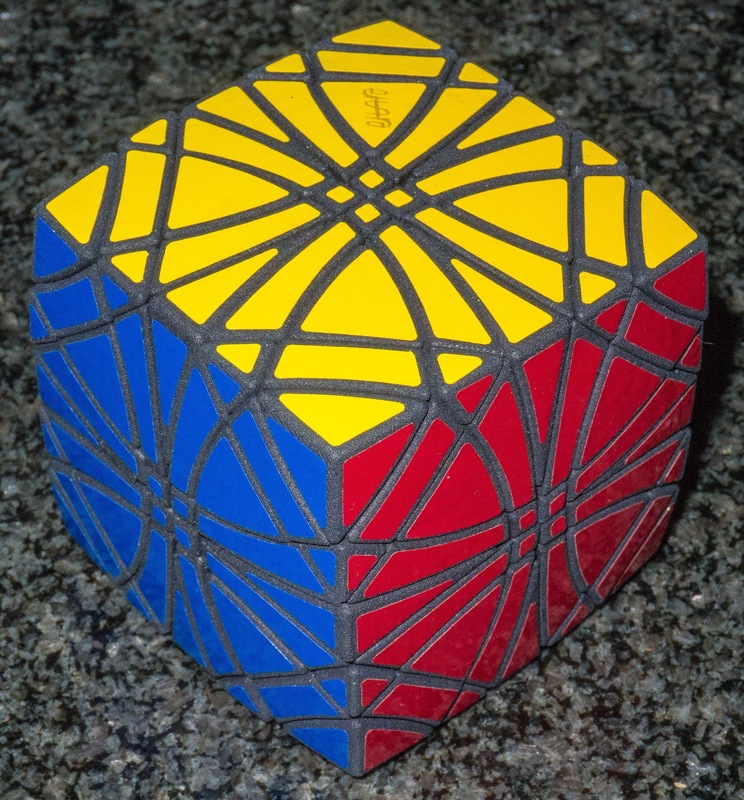 I ask this because you don't ever seem to mention it, yet I remember using this technique a lot in order to figure out the original Rubik's cube. This way you don't have to look at your unsolved puzzles taunting you from a shelf. On the other hand, if you can solve the puzzle by taking it apart, you don't need to figure out how to really solve it! This last part is the downside of learning how to take twisties apart to solve them. George!!!!! Wash your mouth out with soap!! What a terrible thing to suggest! No I never dismantle them unless they are a kit and I then want to assemble a different puzzle! I keep going and going until I've solved it and sometimes have them stare at me for weeks/months. 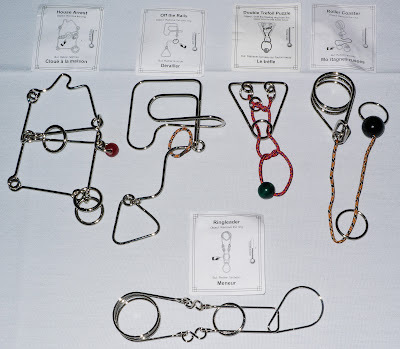 If they are mass produced and others have played then I will ask for help on the twisty puzzles forum or look at YouTube or Rline's Twistypuzzling blog for clues. I prefer not to get a full solution from them. I get either an outline approach or a single move to get me over a problem. For bespoke ones, I'm on my but there's plenty of helpful people out there just like the general puzzling world! Yuck! That soap tasted horrible! Dare I mention a certain infamous puzzler with initials OVD, sitting behind a pile of twisties of his own invention. Someone asked him if he could solve them all, and he pointed to his trusty screwdriver as his method of solving! OMG! The great OVD can't solve his own puzzles? I am shocked and horrified! But then I can't design puzzles and can barely solve them!!! Yes, OVD can invent puzzles faster than he can solve them, by a considerable margin! In fact, for most twisties invented recently, nobody knows how to solve them (in the general case). A few years ago the "Latch Cube" was entered into the IPP Design Competition, yet at the time nobody had an algorithm for solving it (since corrected, I believe). 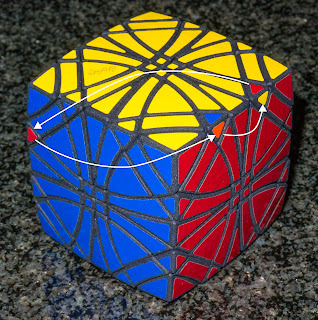 There are quite a few that he has posted on Twisty puzzles but I haven't oredered them from Shapeways because of fear that Shapeways will make yet another error (as they seem to be very prone to now) and also because I doubt I could solve any of them! I don't have a latch cube and all the stores are sold out now - so I'll never know!